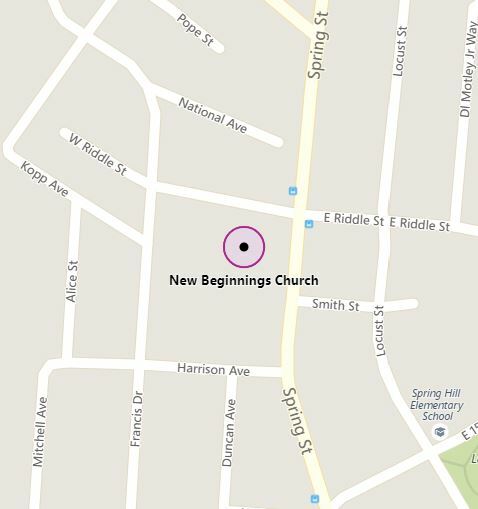 Founded in March of 2010, New Beginnings Church is located just minutes from downtown Louisville at 1615 Spring Street in Jeffersonville, Indiana. Our services incorporate many traditional elements and hymns as well the most popular Christian music of the day. Communion is served at every service to all who wish to partake regardless of membership or religious affiliation. Our location is available as a rental space to hold weddings, receptions, and other events. If you would like more information about our services, or if you would like to rent our venue for an event, please call 812-595-0571.